Windows 10 has arrived but can it shake off the lukewarm legacy left by its predecessor, Windows 8? Our verdict is a resounding YES! And we’re not the only ones. Tech professionals around the world have dubbed Windows 10 as the best version yet. Microsoft have worked hard to redeem themselves in the wake of critical reviews of Windows 8. Even though the operating system proved to be more power-efficient than previous versions and offered a free built-in security suite, it left users unimpressed with the faux-tablet Metro Start Screen and complicated, unfriendly interface. Windows 10 has revived Microsoft’s reputation with a pivotal operating system that is fast, fluid and stable. Everything from Start Menu searching to switching between programs is instantaneous and easy, provided of course, that your PC isn’t a dinosaur. If you’re not certain whether your machine can handle the upgrade, the Windows 10 upgrade window offers a button that allows you to ‘Check my PC’. It will run a system check on your computer and let you know whether it meets the minimum requirements to be able to run Windows 10. Windows 10 offers users a suite of new applications and clever capabilities to make your life easier, and while it has retained some of the touch and tablet features it created for Windows 8, it has reverted to the familiar Start menu and desktop, we all know and love. The difference? It’s now run on an operating system with increased security, a shiny new browser, its own version of Office for document editing on the go, and (best of all), Cortana – Microsoft’s answer to Apple’s Siri. Cortana is your own personal assistant living right on your desktop. You can ask her to set up a meeting, send an email or find your files for you. She can even call you by your name and tell you jokes. As an interesting side note, Cortana is named after the fictional synthetic intelligence character in the Halo video game series by Microsoft, and the US version of the software even features the voice of Halo actress, Jen Taylor! It’s important to note that Cortana is only available in certain countries/regions, and some features might not be available everywhere. Another excellent feature of Windows 10 is the new Microsoft Edge browser. While it suffered some criticism in the beta testing phases, the improved Edge included in the Windows 10 upgrade has impressed users and critics alike with remarkable raw performance and speedy page rendering. Part of Microsoft’s path to redemption is to offer consumers a free upgrade to Windows 10 from Windows 7 and Windows 8.1. 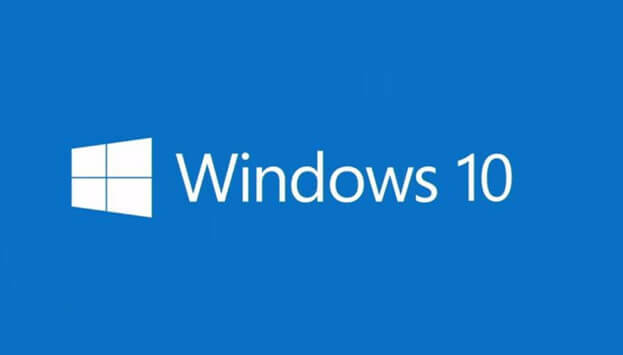 If you’re currently operating on Windows Vista or XP you can still upgrade to Windows 10 if your system meets the minimum hardware requirements by doing a clean install. The downside is, it won’t be free; you’ll have to purchase a licence. The process is fairly easy, albeit time consuming. Depending on your Internet connection speed, the download of the upgrade can take anything from 60 to 90 minutes. Users can safely work as normal during the download, but when it is complete you will be prompted to save everything and allow the upgrade to install. If anything should go wrong during or following the upgrade, Microsoft has provided a simple process requiring only a few clicks to have your system roll back to the previous version on Windows. Just make sure you haven’t deleted the Windows.old folder in which the previous version is stored and as always, make sure you have backed up your data before commencing the upgrade. This article first appeared at CPL IT Services.